1.The prices indicated are per room for the number of people and date(s) previously selected, unless otherwise stated (fixed rates). 2.The room must be vacated by 10:00 at the latest on the day of your departure unless prior arrangement has been made with The Golden Fleece. 3.Reservations can only be made by guests 18 years old or over. When arriving at the hotel, no guests under 18 years of age will be permitted to stay without being accompanied by a guest 18 years old or over. 4.No cancellation charge applies to cancelations made 48hrs or more prior to the day of arrival. Beyond that time, the first night will be charged. 5.The customer agrees and undertakes to use the room responsibly. 1. Guests are requested to conduct themselves appropriately at all times and to comply with Company procedures and/or requests with regard to conduct and respect for the property of the Hotel, its employees and guests and their health and safety. Guests are requested not to disrupt the comfort and enjoyment of other guests, the smooth running of the Hotel, or cause offence to other guests or our members of staff. We reserve the right to refuse accomodation or services or remove you and members of your party from the Hotel if, in our reasonable opinion, we consider this provision to have been breached. Where this is the case shall have no obligation to refund you for lost accommodation, other services or any other loss or expense incurred. 1. Guests are not permitted to smoke in rooms or public areas. If you are found to be smoking in our rooms or public areas you may be asked to leave without prior notice or refund and may also be charged for specialist cleaning. 1. Guide dogs and medical dogs are accepted with prior arrangement, and other dogs may be accepted at the Companyâs discretion, but otherwise no pets are allowed at the Hotel. 1. The Golden Fleece Ltd reserves the right, without notice or indemnity, to temporarily or permanently shut down the website www.goldenfleeceinn.com and /or any of its online reservation pages. 2. The Golden Fleece Ltd is not responsible for damages of any nature that may result from these changes and/or from the temporary unavailability or indeed permanent shutdown of all or part of the site or its associated services, such as the online reservation pages. 1. The customer selects the services presented on the website. 2. The customer confirms that they aware of the nature, the purpose and the reservation terms of the services available on the website and that they have requested and obtained the necessary and/or supplementary information required to make the reservation in full knowledge of the facts. 3. The customer acknowledges that they are solely responsible for their own choice of services and their suitability to their own needs, The Golden Fleece Ltd shall not be held responsible if the accommodation is deemed unsuitable by the customer. 4. The reservation is deemed accepted by the customer at the end of the reservation process. 1. The customer reservation is subject to an acknowledgement of receipt by email. 2. For online reservations the emailed acknowledgment of receipt of the reservation summarizes the contract offer, the services reserved, the prices, the sales conditions related to the selected rate all of which has accepted by the customer, information pertaining to after-sales service and commercial warranties, and the address of the Golden Fleece Ltds premises to which the customer should address any complaints. 1. The prices relating to the reservation of services are indicated before and during reservation and therefor accepted by the customer upon booking. 2. The prices shown are per room for the number of people occupying that room and the date(s) specified in the booking proses. 4. Unless specified otherwise, supplementary services (breakfast, half-board, full-board etc.) are not included in the price. 5. Prices take account of the VAT applicable on the day of the reservation and any change to the applicable VAT rate will be automatically reflected in the prices shown on the billing date. 6. If a rate states that the payment is to be made upon arrival at or departure from your hotel, and that the customers currency is not the same as that of the Golden Fleece Ltd, it is possible that the rate debited by the Golden Fleece Ltd will be different to that indicated during booking. This would take in account any exchange rate changes between the date the booking was made and the dates of the stay. 7. The Golden Fleece Ltd shall state the total order amount when the customer confirms the reservation. 1. At the time of booking or at check-in, we will take your credit/debit card details and you authorise the use of this card for any sums that become owing to us. We shall also have the right to require full payment in advance or a deposit at the time of booking in certain circumstances or if the Booking includes the supply of certain items or services. No Booking shall be treated as confirmed until the details and/or payment/deposit described in this paragraph have been provided. 2. In the event of a no-show (reservation that has not been cancelled where the customer did not arrive) or a cancellation made with less than 2 days notice when the reservation is guaranteed by bank card, the cost of the first night will be debited as a fixed indemnity from the card specified by the customer in the reservation. 1. No cancellation charge applies to cancelations made 48hrs or more before the day of arrival. Beyond that time, the first night will be charged. In the event of cancelation the Golden Fleece Ltd will send an Email acknowledgement of cancelation. It is the customers responsibility to ensure that they have received their cancelation Email. 2. Some prepaid reservations cannot be changed or cancelled. Sums paid in advance as a deposit or full payment will not be reimbursed. In this case, it will be stipulated in the sales conditions for the rate. 3. In the event that the stay is cut short (where a customer checks out prior to the agreed / booked date of departure), the agreed price will be paid in full. No reimbursement will be given for a prepaid reservation. 4. Unless expressly stated otherwise, the customer must vacate the room before 10.00 on the last day of the reservation. Failure to do so shall result in the customer being billed for an extra night. 1.Check in is available from 4pm-10pm we may be able to accommodate checkins outside of this time by prior arrangement but can not guarantee it. 2. In the interests of security and to prevent fraud, at the time of check-in, guests may be required to confirm their identity by providing their booking reference and their passport/identity card/driving licence. If guests are travelling from outside the UK, Ireland or any country in the Commonwealth we are also obliged by law to require guests to provide the number and place of issue of your passport/identity card and details of their next destination. These records will be kept for at least 12 months and may be disclosed or made available for inspection by any police officer or as otherwise required by applicable law in connection with the prevention or investigation of crime. The information above may be requested for each member of your party over the age of 16 and we reserve the right to refuse entry to persons who cannot provide the information set out above. 2. We allow guests free WIFI access, allowing customers to connect to the Internet. The Customer shall ensure that all digital resources provided by the premises are in no way used for the purposes of reproduction or representation, and that all works and materials protected by copyright or related rights, such as texts, images, photographs, musical and audio-visual works, software and video games, shall not be made available or communicated to the public without the express authorization of the copyright holders, as stated in Books I and II of the Intellectual Property Code where such authorization is required. The Customer agrees to adhere to the security policy of the premises Internet provider, including the security measures under conditions of use, in order to prevent the illegal use of digital resources (or other names used in the companys IT Charter). The Customer shall also refrain from committing any act that could jeopardize the effectiveness of these measures. If the Customer does not adhere to the abovementioned obligations, this may be perceived as an infringement of copyright regulations. Any guests found to be tampering with any of our IT equipment may be asked to vacate the premises without prior notice whilst being charged in full for their stay. 1. We reserve the right and you hereby authorise us to charge your credit or debit card for any damage incurred to your room or the Hotel during your stay (including without limitation specialist cleaning) or for any items that are missing when you leave. 1. The photographs shown on the website are for information purposes only. Although every effort is made to ensure that the photographs, graphic images and text used to illustrate the displayed hotels provide as accurate an impression as possible of the accommodation offered, variations may occur, in particular as a result of any change of furniture or renovation. Customers may not make any claim in this respect. 2. The Golden Fleece Ltd shall not be held responsible for the non-fulfilment or inadequate fulfilment of the reservation in the event of a force majeure, actions of third parties, actions of the customer or of his partners, such as unavailability of the Internet network, no access to the website, external intrusion, computer viruses, or in the event of non-authorized prepayment from the bearers bank. Further information relating to force major can be found in paragraph 16. 3. The Golden Fleece Ltd accepts no responsibility for any indirect damage as a result, in particular loss of earnings, actions of third parties, actions of the client or of his partners. 5. The Company will not be liable for any indirect, consequential or pure economic loss or any loss of profit, goodwill or opportunity (whether caused by the negligence of the Company, its employees, contractor or agents or otherwise). The Companyâs total liability shall not exceed the value of the charges received by it under the Contract. 6. Any reservation or payment that is irregular, ineffective, incomplete or fraudulent for any reason attributable to the customer will lead to cancellation of the order at the customers expense, without prejudice to any civil or criminal action that may be brought against the customer. 1. Complaints relating to failure to execute or poor execution of our services must, be made known to The Golden Fleece Ltd in writing within 24 hours of arrival at the hotel, either directly to the hotel or to the Customer Service address indicated above. 1. 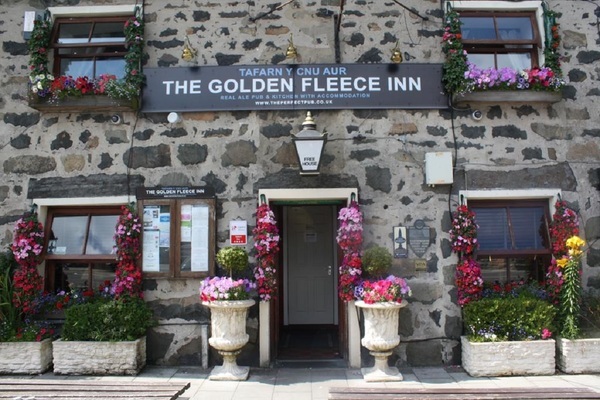 In the event of unavailability of accommodation at The Golden Fleece inn, or in a case of accommodation being forced to close due to health and safety, unforeseen maintenance, loss of power or any other unforeseen circumstances, The Golden Fleece Ltd reserves the right to fully cancel any booking without notice. In these circumstances all deposits or monies paid will be refunded to the customer, The Golden Fleece Ltd cannot be asked for any additional compensation or held responsible for any loss of earnings. 1. The Company accepts no liability and will not pay any compensation where the performance of its obligations is prevented or affected directly or indirectly by or as a result of force majeure or any circumstances beyond its reasonable control including, but not limited to, flood, earthquake, extreme adverse weather conditions, natural disasters, other acts of God, acts of terrorism, fire or failure of electric power, gas, water, or other utility service, plant machinery, computers, vehicles or any collapse of building structures. 1. If a customer has made a booking and unless they have specified otherwise, The Golden Fleece Ltd is authorized to send them, via email, text message or post the company newsletter, promotional offers and a customer satisfaction questionnaire after his hotel stay. commercially-related. The customer may also unsubscribe from these communications at any time by clicking on the unsubscribe link at the end of each commercial email. 3. The handling of these data shall enable The Golden Fleece Ltd to fulfil its obligations to the customer and inform the customer of special offers and any new services created by The Golden Fleece Ltd.
1. The Golden Fleece Ltd may change or add to these general terms and conditions of sale at any time. In this case, the new version of the general terms and conditions of sale will be published online by The Golden Fleece Ltd. From the time it is published online, the new version of the general terms and conditions of sale will apply automatically to all customers. Please also see any supplementary sales conditions related to each rate, room type or service type, which are shown on the price list. 1. While all reasonable efforts have been taken to ensure the accuracy of information on the Websites, the Company does not accept responsibility for errors or omissions and reserve the right to amend, cancel or vary any of the arrangements featured on the Websites without notice. Please note that in certain circumstances, generic photographic images have been used to represent the general style of a particular product, room or service. 2. The content of the Websites is the copyright of the Company, and may not be copied, reproduced, published, distributed or amended for any other purpose without our prior written consent. 3. Trade marks used on the Websites are the property of the respective owners. Hyperlinks to third party websites are provided for your convenience. We cannot accept responsibility for the content or use of third party sites.